You know the elfin creatures in green suits and hats that hide in the woods and mastermind practical jokes. Folklore says leprechauns are evil spirits or fallen fairies, who occupy themselves with mending shoes, causing mischief, and making music. If you’re in Dublin, you can stop by The Leprechaun Museum and learn all about the mischievous little pranksters, who have been equally adored and feared by the Irish for thousands of years. No one knows for sure how these solitary beings came to have their very own day. My personal theory involves these wee tricksters coming up with the idea themselves. It’s the sort of thing a leprechaun would do. Whatever the reason, it’s always fun to speculate about catching a leprechaun. You can find tips here. 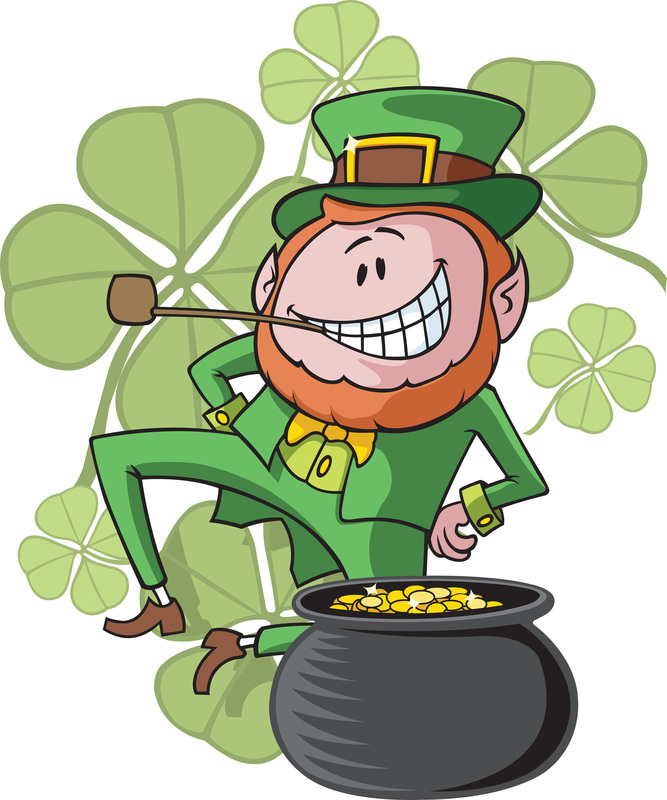 Should you be successful, the captured leprechaun must give you his pot of gold. You have to very careful, though, leprechauns don’t easily part with their gold. They’ve been known to offer three wishes if you won’t take their pot of gold. Best to have your own three wishes in mind now so you won’t be tricked. Whatever you do, have a Happy Leprechaun Day!